Need to rent a mailbox? Want to get the shipping value? 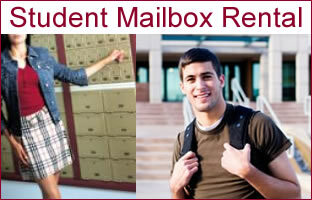 Pak Mail Ole Miss is the official University of Mississippi student mailbox service provider. We are also the most complete packing and shipping business you will ever use. During the school year we can help do everything from sticking a stamp on a letter, to packing and shipping delicate items. And when you are ready to head home for the summer or back to school in the fall, let us help? We are your student packing, shipping and moving expert. When you ship with us, you’ll have the opportunity to compare rates from our preferred network of carriers (FedEx, UPS, DHL, USPS & more) and delivery options to guarantee the most competitive price and efficient delivery method. Select from the top carriers to ensure safe and secure delivery each and every time. Pak Mail Ole Miss is a full service packing and shipping store as well as a custom cratingand freight shipping company. We are located on campus at Crosby Hall and proudly serve the University of Mississippi. Request a Free Online Estimate or call us at 662-236-9075. Pak Mail Ole Miss will begin service on July 14, 2014.